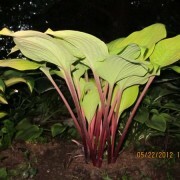 Large: Mound size 22″ high by 52″ wide; heavily corrugated, medium gold foliage; leaves are 12″ long by 9 ” wide. A new attractive yellow giant. 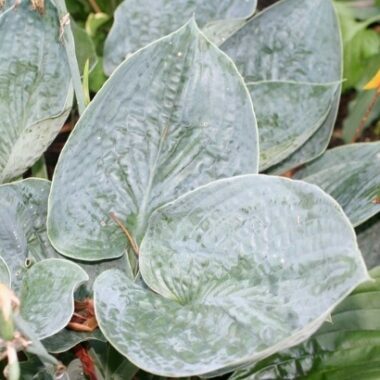 Leaves are 15″ x 15″ very nice. 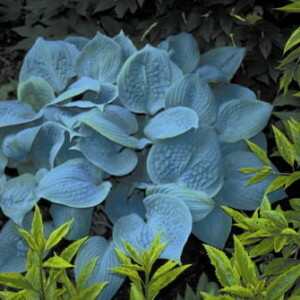 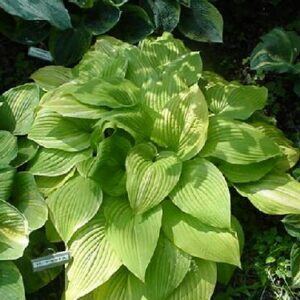 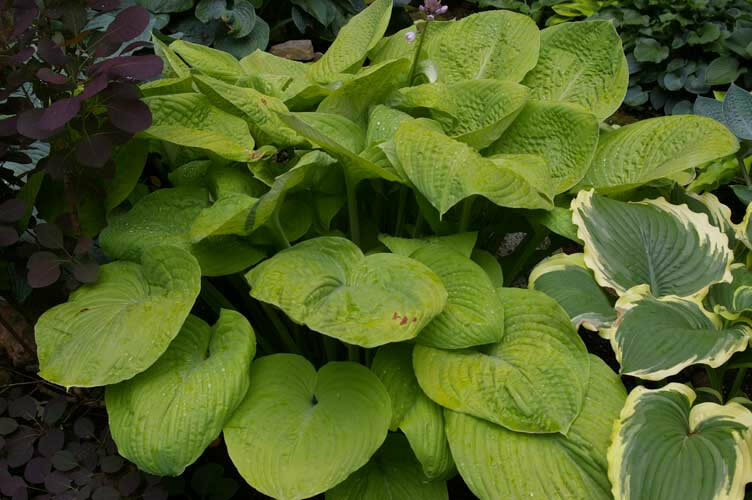 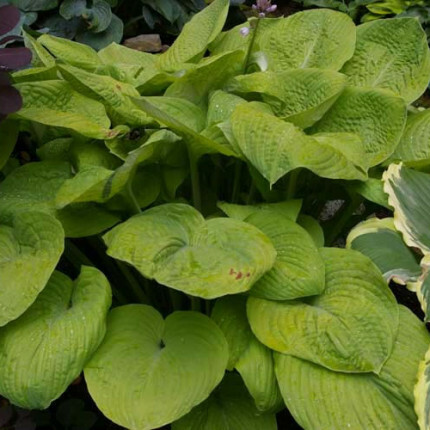 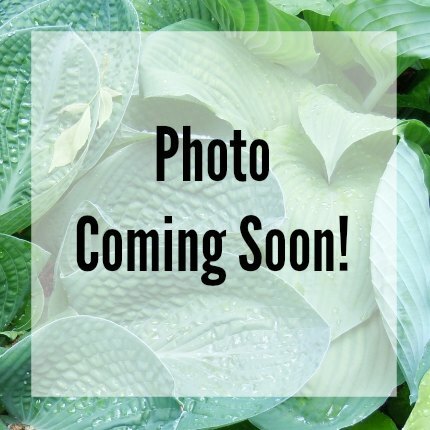 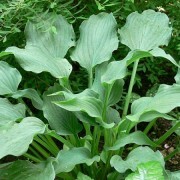 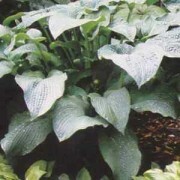 Fat Cat Hosta – Acts like a brighter, smaller version of ‘Sum and Substance’ with more heavily corrugated.